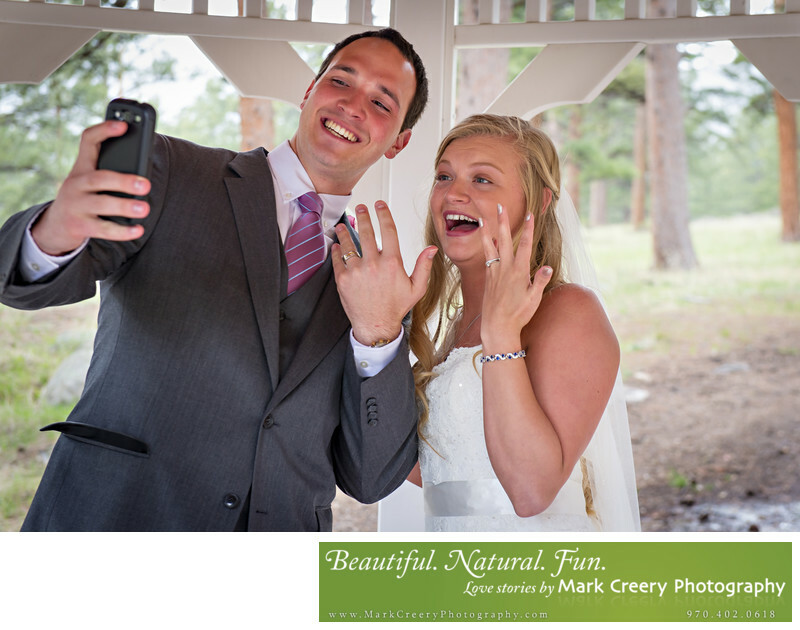 In this wedding photo the bride and groom decided to take a selfie of their rings after their recessional before they signed their marriage license. It was a spontaneous idea that captures the pure elation the couple was feeling after officially tying the knot. With social media, why wait to share the photo with the world? I love capturing candid moments like this, even when it involves photography with phones. If you're needing wedding photography in Lyons, Colorado, I specialize in the capturing the diverse scenery of the area and featuring your unique personalities as well. There is so much beauty that Lyons has to offer.